As they approached the village to which they were going, Jesus continued on as if he were going farther. But they urged him strongly, "Stay with us, for it is nearly evening; the day is almost over." So he went in to stay with them. Jesus wants us to watch for Him as we walk with Him! Spiritual Direction is one way we can join with Jesus in his desire for us to know his presence. It’s one of the beautiful ways that God has designed His people to work together to know Him ever more deeply along the journey. A Spiritual Director prepares an atmosphere of prayerful listening, trusting that God is for us, in love, and that God's work over time is about transforming us into the image of God (Imago Dei). Spiritual Direction offers intentional space to nurture the holy mystery of what happens when we pause reflectively and attend to our life with God. Spiritual Direction is God-oriented rather than goal-oriented. The time together gives attention to God rather than to a particular problem that needs to be fixed or a behavior that needs to be modified. The desire is to watch for how God might be loving you and shaping you. WHAT GOES ON IN SPIRITUAL DIRECTION? Conversations can include the whole of our life --vocation, relationships, circumstances, joys and sorrows, boredoms and adventures-- so as you share we seek to notice God's presence, work, and invitations in our midst. Spiritual direction sessions between a director and directee are usually scheduled about once a month, for an hour each time. Sessions often begin and end in prayer. During the conversation, it’s also common for the director to offer a pause for a moment of prayerful silence in the middle of a session, to help notice more deeply what the Holy Spirit may be saying and give space to experience God in the moment. Begin by praying. God, the One stirring this desire in you, is also working to meet that desire! Then prayerfully make contact with a potential director. Ask them about their theology of spiritual direction— How do they try to pay attention to God's presence? What might regular times with them look like? As you listen to their answers, notice what goes on in your own internal reactions. Do you feel a desire and freedom to share more deeply? Do you sense this as a relationship where already, in your back-and-forth conversation, there's an awareness of the Holy Spirit's presence and leading? Once you identify a potential director, set up a time to meet (in person if possible but some directors can meet with you by phone or skype.) If you feel it to be a good fit, you'll meet a further time to discern together if this is a direction relationship that the Lord is inviting you to. Yes. Every licensed director charges an hourly rate for their time. This encourages intentionality and ascribes value to the director and directee’s relationship. The first meeting is always free. Do I have to be a member of Imago Dei? No. You don’t have to be a member of Imago Dei Anglican Church, or any other church for that matter! Amy grew up in Bangor and received her Bachelor of Music in vocal performance at the Greatbatch School of Music, at Houghton College. Having met both the third member of the Trinity as well as the president of the theological society (Justin) during her Sophomore year at Houghton, she traded in Brahms for the prayer room, and quiet Sunday afternoons for family life with six kiddos. 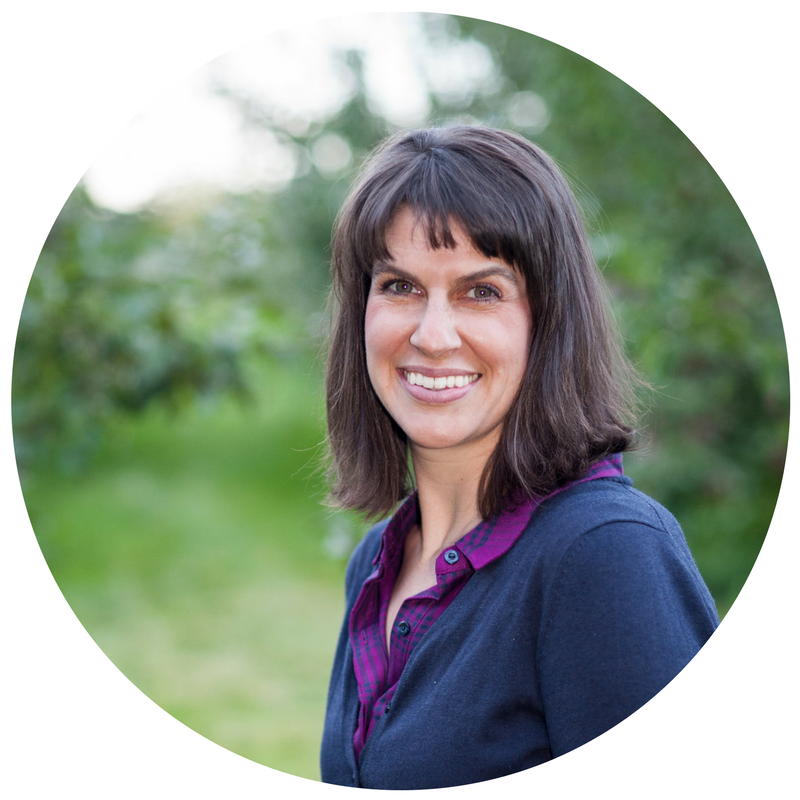 Amy is a Lay Pastor and oversees Encounters and healing prayer at Imago Dei. She has trained over a hundred prayer ministers in New England from various Christian traditions. She is a licensed Spiritual Director for the Anglican Diocese in New England and was trained by Christian Healing Ministries in whole-person healing. Amy’s goal is fulfilling the first and greatest commandment during her lifetime. Amy is a Certified Life Coach through Light University and a trained Spiritual Director through Leadership Transformation's Selah Program. Amy loves to help people grow in their awareness of what's going on in their soul so they can experience abundant life with God! Amy lives just outside of Bangor, Maine where she loves to rest and play with her husband and their four children. When she's not spending time with her family, she loves to adventure with God in nature, read, or visit with her closest friends. Beth Rogers did her undergrad work in Child Development/ Elementary Education at UMO and then went on to get her MA in Theology from Grace Evangelical College and Seminary. She is a trained Spiritual Director through ADNE and is currently taking Christian Counseling courses at Grace Evangelical. She has an office in Bangor where she deeply enjoys walking with people as they journey with Christ and grow as His followers. Beth lives in Bangor with her husband Jim. Together they raised four children and are happily enjoying life surrounded by their ever growing extended family. Chrissy earned a Bachelor's degree and Master's degree in Nutrition at the University of Maine, during this time she also gained a deeper love for the land and the people of Maine. Determined to root herself deeply in this place she now lives and works on her family's apple orchard in Levant with her husband and five vivacious children. Chrissy is currently an intern with Leadership Transformation's Selah Certificate Program for Spiritual Direction and she has previously completed the Christian Healing Ministries School of Healing Prayer. Chrissy has a passion to see people flourish and walk in the fullness of who God has called them to be, and she is delighted to have the opportunity to walk with people on their spiritual journeys.